July 24th 2015, Friday evening, in spite of the heavy monsoon downpour, the IIM C campus was buzzing with activities and excitement. Some of the most innovative minds flocked together with the mission to get ideas into action and launch their statups in 54hrs over the weekend. 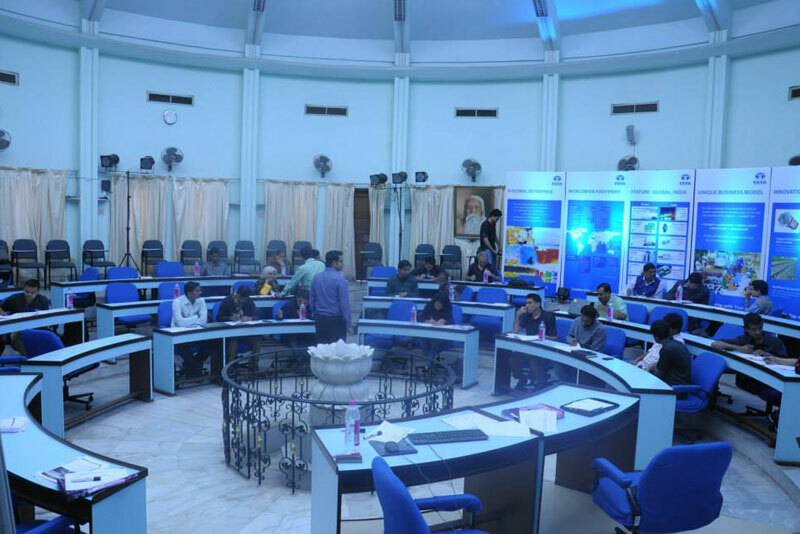 Organized for the first time in Eastern India, the Startup Weekend was hosted by IIM Calcutta Innovation Park (IIMCIP) to promote entrepreneurship and innovation in the region. 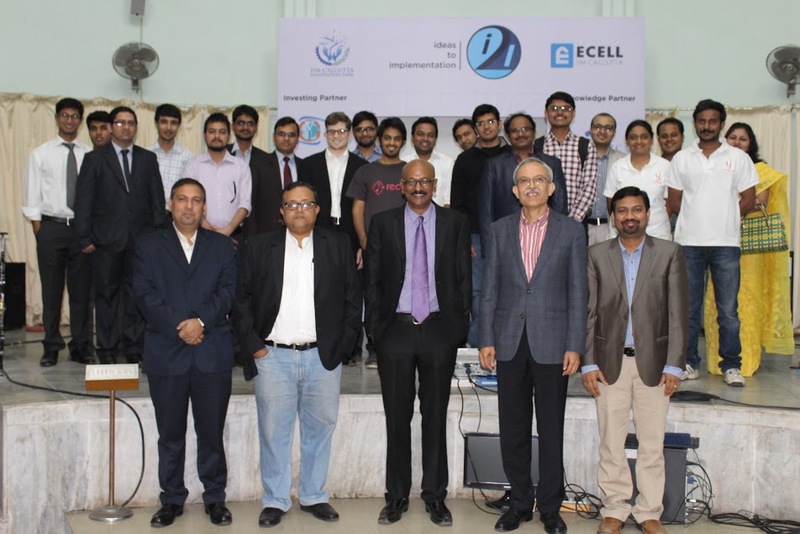 To ensure success of this event, IIMCIP roped in some of the key stakeholders in the startup ecosystem namely – TiE, Calcutta Angels, Nasscom, CII and Innokul. The event attracted tremendous participation from young students and working professionals and long queue of participants eager to pitch their ideas was a sight to witness. Forty Eight participants presented their startup ideas through a 60 second pitch. Almost equal numbers of participants were waiting to join as cofounders and take these ideas forward. Based on popular choice fifteen teams were selected for the finals. The participants formed teams and worked on their ideas over the weekend to create an outline of the minimum viable product. Fun filled three days at the campus coupled with some serious brainstorming and non-stop activities was definitely to look out for. After idea generation and finalization on the first day, eminent mentors conducted one-on-one advisory sessions on the second day and helped the participants to structure the ideas and explore strategies and feasibility options. The last day was the Grand Finale where one could see all ideas come alive. The event was judged by an eminent panel comprising of different stakeholders of the startup ecosystem. The ideas were evaluated with respect to the business model, customer validation and execution & design. There emerged three winners – ComBuyN, Hephaestus Techno and Yello!. 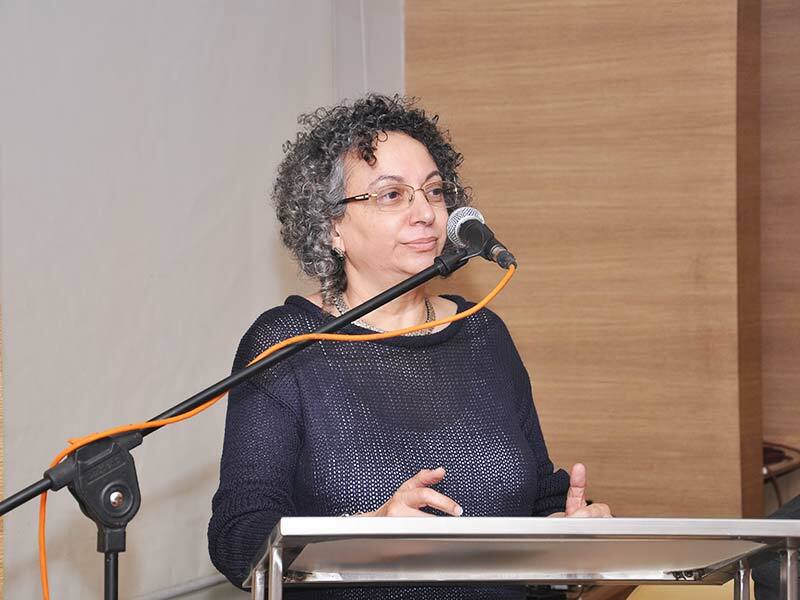 Two social enterprises received special recognition in the event – iJustice and Garbage to Gold. The Entrepreneurship cell of IIM Calcutta will support all the teams to shape their ideas and firm up their business model and the top teams will also get an opportunity to pitch for incubation at IIMCIP. The event ended with a bang, with smiles and great outcomes. It encouraged and inspired young people to bring their idea into action and take the first step towards their entrepreneurship journey. It was indeed an event to witness, to participate, to learn and to grow. 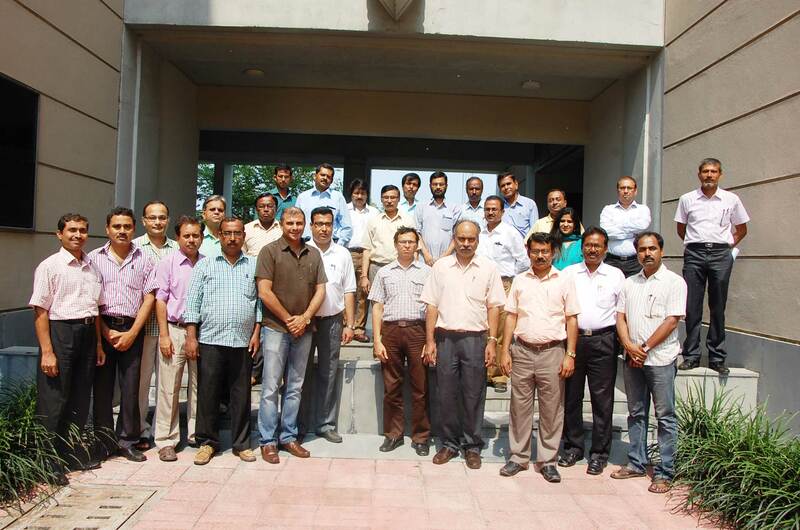 IIM Calcutta Innovation Park is organized a Capacity Enhancement Programme (Shilpa Shibir 2015) for the District Industries Centre (DIC) Officers of the West Bengal MSME Department and the Industrial Development Officers to support District-Level Entrepreneurship Development. The workshop was conducted in 4 batches from 11 May 2015 to 09 June 2015 covering 260 officials from 19 districts of West Bengal. This programme had a focus on interactions, discussions & ideation sessions, group exercises, role play, shared learning and practical approach rather than a classroom style lecture. It focused on making participants more familiar and adept at using the key processes, systems, tools and techniques that will enable their transition from regulators to supportive facilitators of entrepreneurship in the districts of West Bengal. It included workshops on technical aspects like – how to create a good business plan and how to evaluate bank loan applications. There was an interactive session with local entrepreneurs from different domains, who spoke to the officers regarding their entrepreneurship journey and the support which they expect from the government. A session on the importance of effective communication was conducted which stressed on the need to develop the right attitude. The workshop included an informal session with the Principal Secretary, Department of Micro and Small Scale Enterprises & Textiles, Government of West Bengal, where the Principal Secretary shared the new initiatives taken up by the MSME department. He also appreciated the efforts put in by IIMCIP in supporting these new initiatives and promoting entrepreneurship in the state. 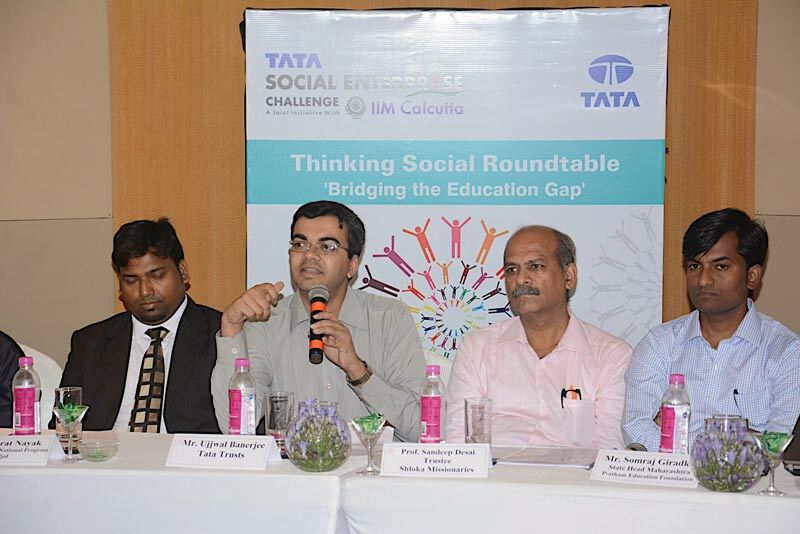 The third thematic roundtable of “TSEC Thinking Social Roundtable” series, organized by IIM Calcutta Innovation Park (IIMCIP), was held on 27th February 2015 in Mumbai, under the aegis of Tata Social Enterprise Challenge (TSEC). The Mumbai Chapter of IIM Calcutta Alumni Association was instrumental in supporting the Roundtable. The theme of the Roundtable was ‘Bridging the Education Gap’. The main objective of this roundtable was to provide a platform, for the champions of education entrepreneurship ecosystem to exchange their experiences and ideas thereby perhaps create a set of best practices for the industry to emulate. The thematic TSEC Roundtable was structured with an introductory address from IIP and the TATA Groups followed by Panel discussion with subsequent Q&A round and ending with a valedictory and thanking note from the IIMC Alumni Mumbai Chapter. The event invited visionaries and renowned entrepreneurs across the globe to share their experiences and knowledge in fields of expertise. The event aims at bringing together our students, alumni, established entrepreneurs and academia to foster the spirit of entrepreneurship. Over the years, E-Summit has fostered inspiration, skills, ideas and networks with its rich line up of guest speakers and this year is no exception. 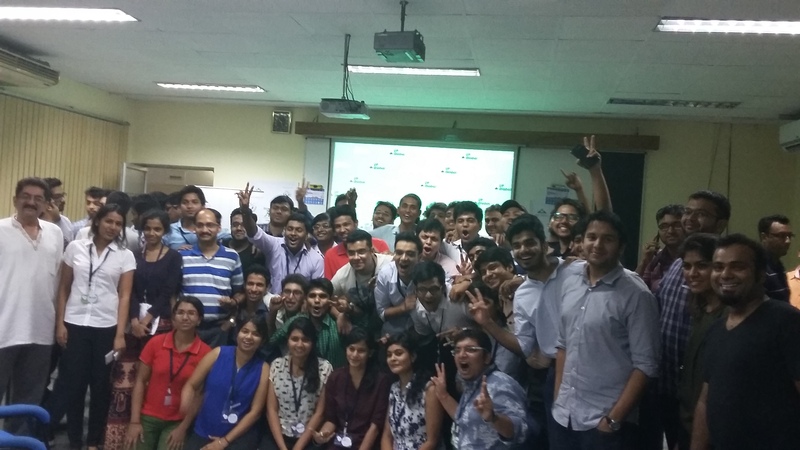 Students from various management schools of Kolkata participated to learn nitty gritty of starting a venture. This year the focus was on Entrepreneurship as a whole, and ways to develop skill set among individuals to start up any field of their liking. Unorthodox entrepreneurs who came from various fields like fashion, movie, food, legal, venture capitalist etc were invited. Mr. Deepak Jalan, MD of linc pens was the key note speaker who spoke on ‘Opportunities for young entrepreneurs’. Mr. Praveen Sinha, Founder of Jabong, talked about creating an e commerce brand of your own. Famous motivational speaker Mr. Akash Gautam received a standing ovation from crowd for his session on ‘Lag gai: How we screw our lives’. Workshops on ‘Legal issues of startup’ by Pankaj Jain, Rishad Madora, Barnik Ghosh, ‘Financial aspect of start ups’ by Pritimoy Chakraborty, Sagar Daryani , ‘Marketing for start ups’ by Dheeraj Agraval, Swarup Ghosh were very insightful for every budding entrepreneur and were appreciated by all the participants. Ideas to Implementation, popularly known as I2i is an International Business Plan competition which endeavours to provide an ideal platform for budding entrepreneurs to realize their dreams by making them connect to ideas, money and people who matter. The core philosophy behind this event has always been not to judge a ‘b-plan’ but to make a robust plan ready to spread its wings. I2i today has emerged as one of the largest and the most serious national process of its kind, both in scale and scope, attracting serious entrepreneurs via the Pan IIM and IIT alumni networks, the National Entrepreneurship Network and a large base of working professionals. With cash prizes, Incubation support at IIP (IIM Calcutta Innovation Park) and with seed funding of 50 lacs by GOVIN Holdings in store for the prospective winners, the event got a huge response with 300+ entries coming in from all over the country for Round 1 conducted in the month of November 2014. While Round 1 needed submissions to be made in form of an executive summary, Round 2 required the 60 shortlisted teams to submit a ppt pertaining to their B-Plan. Mentors were allotted to these teams for further guidance before they were ready to make their round of presentations. The Semi-final and Finals for the event were conducted at Campus on 6th February 2015. Magasool, Freedu and Semantic reviews emerged out as the winners of the competition. They have been assured a seed funding of 50 lacs (to be divided in a certain deterministic ratio) by Mr. Anand Govindaluri of GOVIN Holdings. Also, commitment of 5-year long funding of 10 lacs each for the top 10 teams was made. Tata Social Enterprise Challenge 2014-15 kicked-off on August 25, 2014 and invited social entrepreneurs who either had an early stage venture (not older than three years) or a promising idea with a plan that could create sustainable social impact in India. Impact proposals (detailed business plans) were invited in the areas of education, health, agriculture, technology, sanitation, and handicrafts, among others. These proposals were to be judged on three parameters – business model, social impact and sustainability. The last day to submit them online was November 15, 2014. All the top 20 teams which were selected were mentored by Ashoka Innovators for the Public and Villgro, and the IIM Calcutta faculty. The social VC partners of the initiative were Acumen, Ankur Capital, Yunus Social Business and Ennovent. The teams also had an opportunity to network with mentors, experts and fellow social entrepreneurs. The ceremony featured special talks by M Anshu Gupta, Founder Goonj, Dr SP Gon Chaudhuri, founder of India’s first renewable energy college – NB Institute for Rural Development (NBIRT), Dr Sabahat Azim, Founder Glocal and Dr NS Rajan, Member – Group Executive Council and Chief Group Human Resources Officer, Tata Sons. The winners of the contest were announced during the grand finale which was held on 17 January 2015 at the IIM Calcutta campus. SAANS from Bangalore (Winner), Godavari Women Weaver’s Services Producer Company (GWWSPC) from Mandapeta, Andhra Pradesh (first runners-up) and Ultrasafe Ultrasound from Kolkata (second runners-up) emerged as the top three most promising social ventures, winning prize money of Rs 2 lakhs, Rs 1.5 lakhs and Rs 1.25 lakhs, respectively. 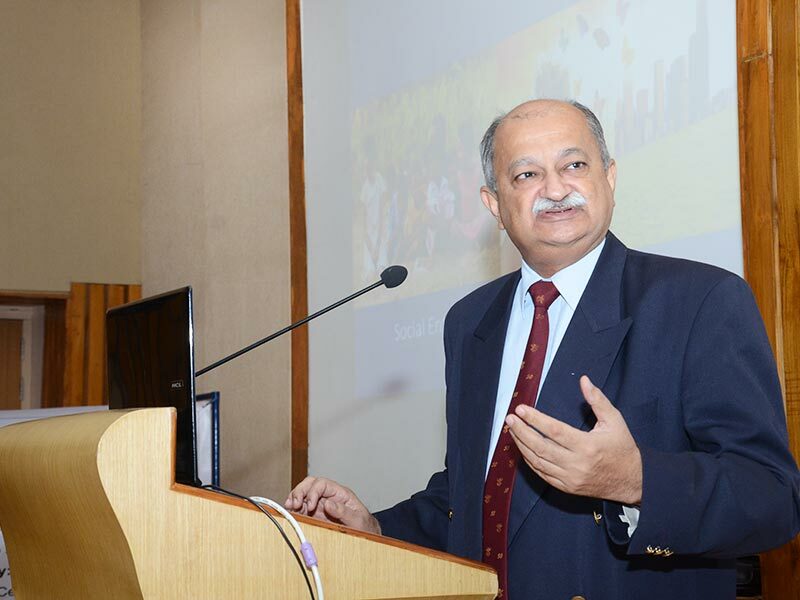 Tata Social Enterprise Challenge (TSEC) – a joint initiative of the Tata group and the Indian Institute of Management Calcutta (IIMC) held the third in the series of student seminars on ‘Thinking Social’ seminar series, organized by IIM Calcutta Innovation Park (IIMCIP), on December 13 2014 at Noida, with the School of Management & Entrepreneurship, Shiv Nadar University, as the host Institution. Fulfilling the main objective of these TSEC “Thinking Social” seminars of connecting youth to social enterprise there was a strong student presence at the TSEC “Thinking Social” seminar in Noida, with many amongst them budding entrepreneurs. 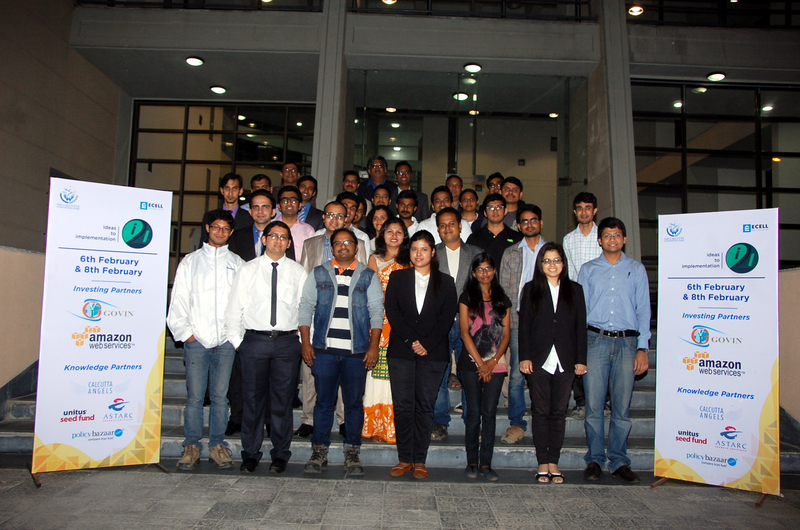 The second “Thinking Social” seminar series, organized by IIM Calcutta Innovation Park (IIMCIP), was held on November 29th 2014 at Pune, with Symbiosis Institute of Media and Communication (Pune), a constituent institute under Symbiosis International University as the host Institution under the aegis of Tata Social Enterprise Challenge (TSEC). 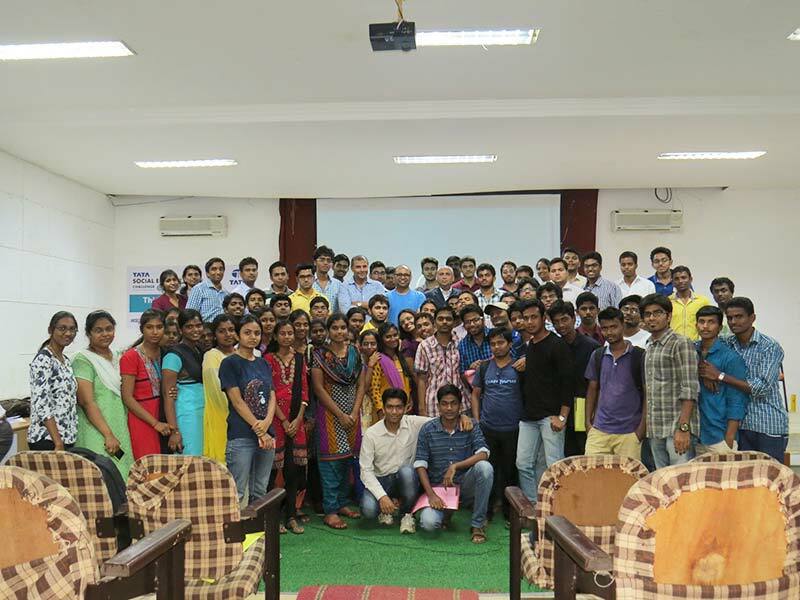 As the main objective of these TSEC “Thinking Social” seminars is to connect youth to social enterprise it was very heartening to see a strong student presence at the TSEC “Thinking Social” seminar in Pune. 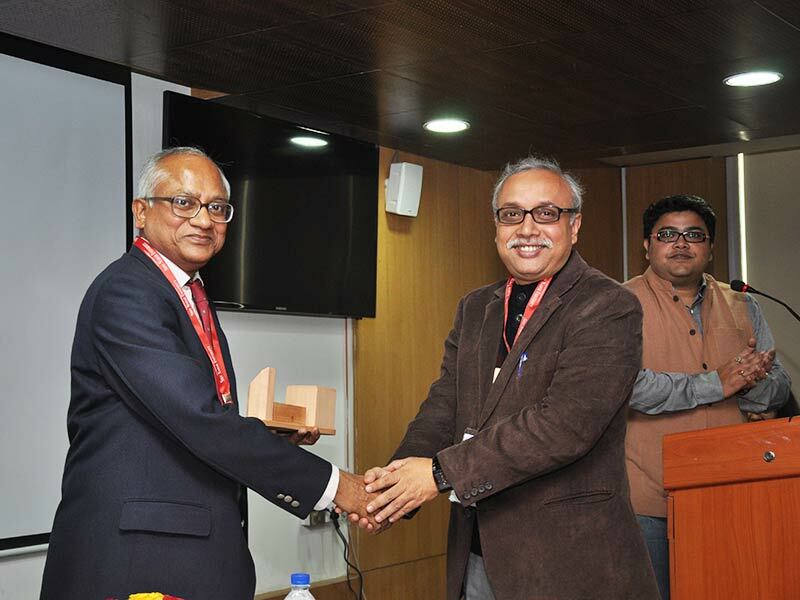 The first “Thinking Social” seminar series, organized by IIM Calcutta Innovation Park (IIMCIP), was held on 1 November 2014 at IIT Guwahati as the host Institution under the aegis of Tata Social Enterprise Challenge (TSEC).The primary objective of the seminar was to create awareness about social enterprises among the students and showcase the pioneering efforts of the social entrepreneurs in North East. 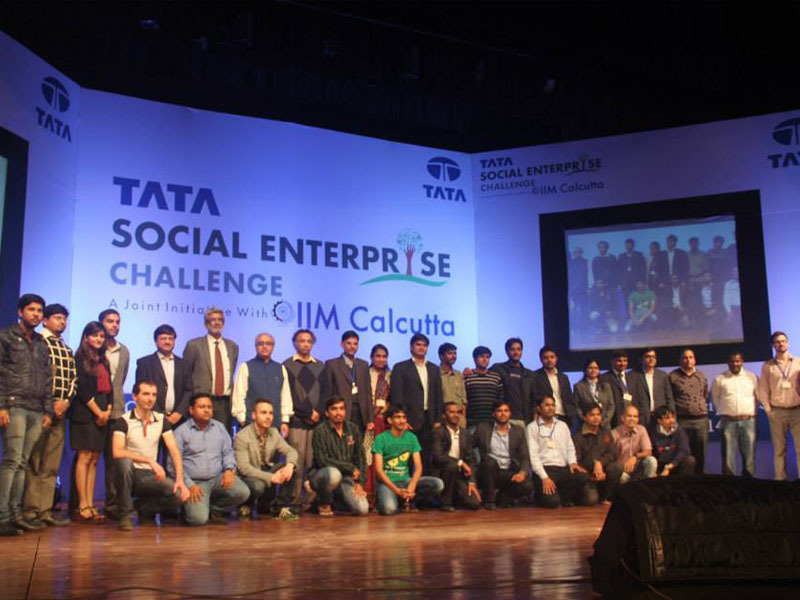 The second edition of the Tata Social Enterprise Challenge began in November 2013 with Impact Proposals (detailed Business Plans) being invited in the areas of agriculture, food and dairy, healthcare, water and sanitation, technology and development, education, housing, handicrafts, energy and microfinance/financial inclusion. The last day to submit the impact proposal (business plan) online was 21 November 2013. This year’s edition attracted over 160 entries from across India and Bulgaria, showing wide interest in the area of social entrepreneurship. The challenge included special session by Dr Harish Hande, co-founder and MD, SELCO India and Shankar Venkateswaran, chief, Tata Sustainability Group. There was also a one-day themed workshop organised between the semi-finals and finals of the challenge. The workshop was not only for the participants but also to other social entrepreneurs and people with a general interest in the social enterprise sector. 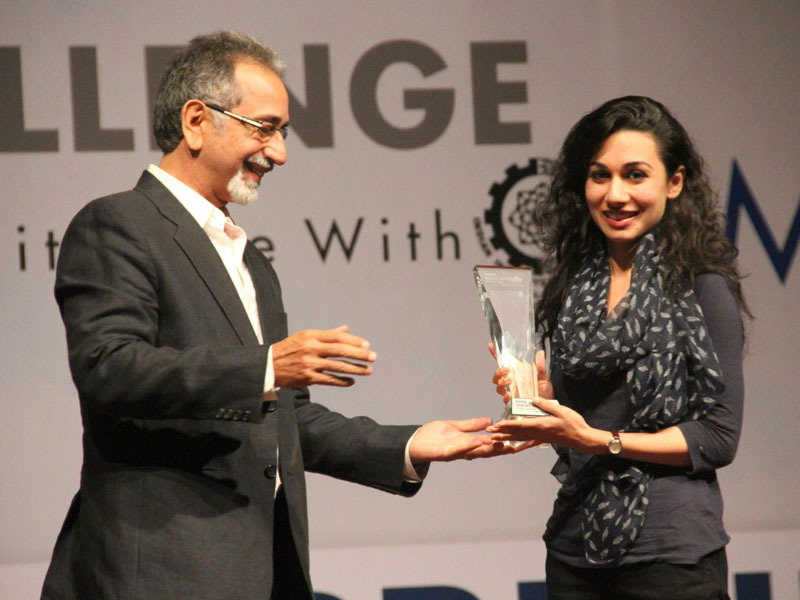 The winners of the contest were announced during the grand finale which was held on 17 January 2014 at the IIM Calcutta campus. MicroXlabs (winner), Bodhi Health Care (first runners-up) and Green Agrevolution Pvt Ltd (second runners-up), emerged as the top three most promising social ventures, winning prize money of Rs 1.75 lakh, Rs 1.25 lakh and Rs 1 lakh, respectively. The first edition of the Tata Social Enterprise challenge commenced in December 2012 with entries received from around the world. The shortlisted Top 20 teams were given a platform to experience first-class mentorship and training at the IIM-C campus as a part of the challenge. Overall top 20 promising ventures, including the 2 winning entries, were selected from a pool of 164 impact proposals, submitted entries, from across multiple sectors, namely education, health, agriculture, energy, technology, housing, handicrafts and microfinance, amongst others. The entries received were from different corners of the world, including the US, the Netherlands, Nigeria and South Africa. The bulk of the entries were from India, including places like Delhi, Dehradun, Nainital and Tehri Garhwal in the north; Chennai, Pollachi, Coimbatore, Mysore and Trichy in the south; Jaipur, Aurangabad, Nagpur, Pune and Mumbai in the west; and Bhubaneshwar, Patna and Kolkata in the east.